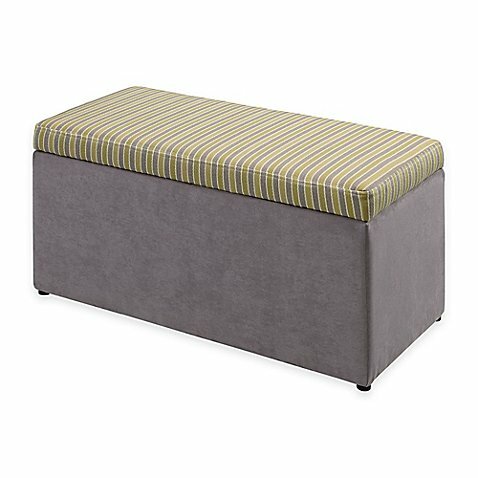 Hide clutter stylishly with this Tree House Lane Striped Upholstered Toy Chest. The padded top has an attractive striped design. The chest itself is super-roomy for holding toys of all shapes and sizes.